This quarterly guide is the ideal resource for accurate, unbiased ratings and data to help citizens across the U.S. choose reliable life insurance policies, annuities, and other pension plans for themselves and their families. Many people assume their insurance companies will survive, year after year. However, prudent consumers and professionals realize that in this world of shifting risks, the solvency of insurance companies can’t be taken for granted. Luckily, Weiss Ratings’ Guide to Life & Annuity Insurers gives both novice and experienced insurance policy seekers the tools they need to survive in today’s shifting economic market. The Guide to Life & Annuity Insurers is divided into six main sections, preceded by an introductory section and followed by a thorough Appendix. 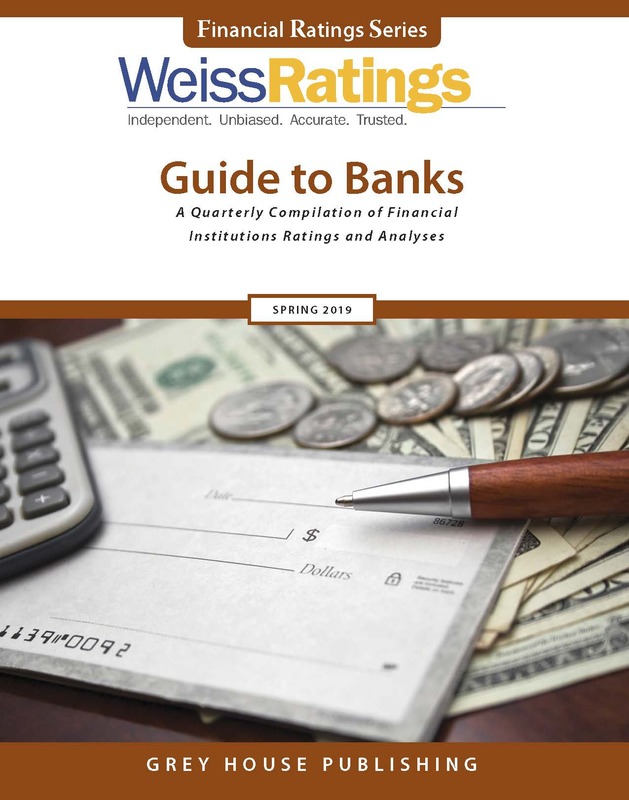 Weiss’ complete letter-grade rubric is detailed on the inside front cover—an easily accessible reference for users researching companies in this Guide. The introductory section begins by welcoming the user and laying out the mission statement, followed by a “How To Use This Guide” orientation to the book. 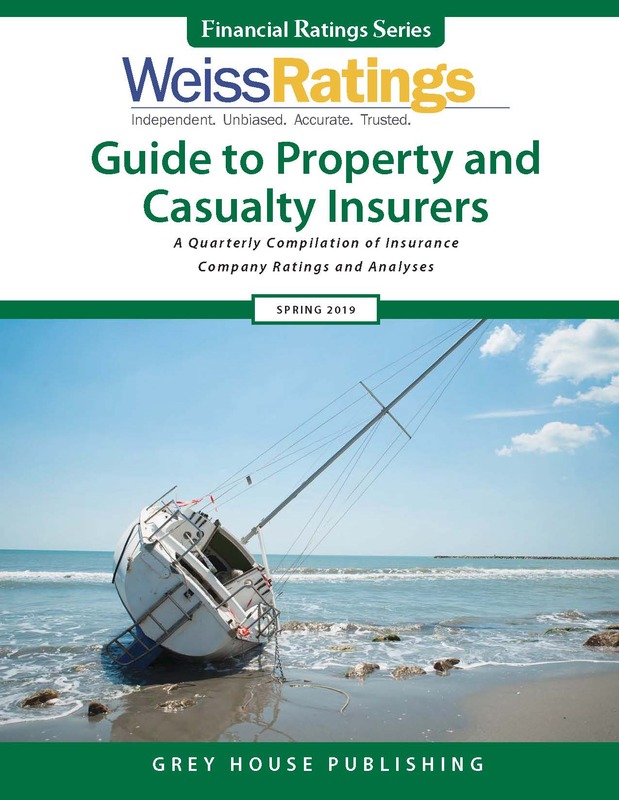 The final components of this section are an explanation of the Financial Strength Ratings used in the book and a page of important warnings and cautions for the user to take into account when evaluating insurance providers. Index of Companies is comprised of an alphabetical listing of all rated and unrated U.S life and annuity insurers, containing key rating factors and an investment portfolio analysis for all insurers. An explanation of each of the footnotes and stability factors appears at the end of this section. Analysis of Largest Companies features summary analyses of all rated U.S. life and annuity insurers with capital in excess of $25 million. These summaries are made up of several components and also contain graphs and charts to assist the user in understanding the data. Components of the analyses include: Financial Strength Rating, Major Rating Factors, Principal Business, and Principal Investments. Complete contact information is also listed. Recommended Companies by state to make it easy to pick the best companies to work with. These are U.S. life and annuity insurers that have been awarded a Financial Strength Rating between A+ and B+. Section III lists the companies alphabetically, while Section IV organizes them by state (in which companies are licensed to do business). In Section III, listings are accompanied by complete contact information and rating. Section IV listings include Domicile State and Total Assets. Rated and Unrated Life and Annuity Insurers which are companies that are ranked by Financial Strength Rating, and then listed alphabetically within each rating category. 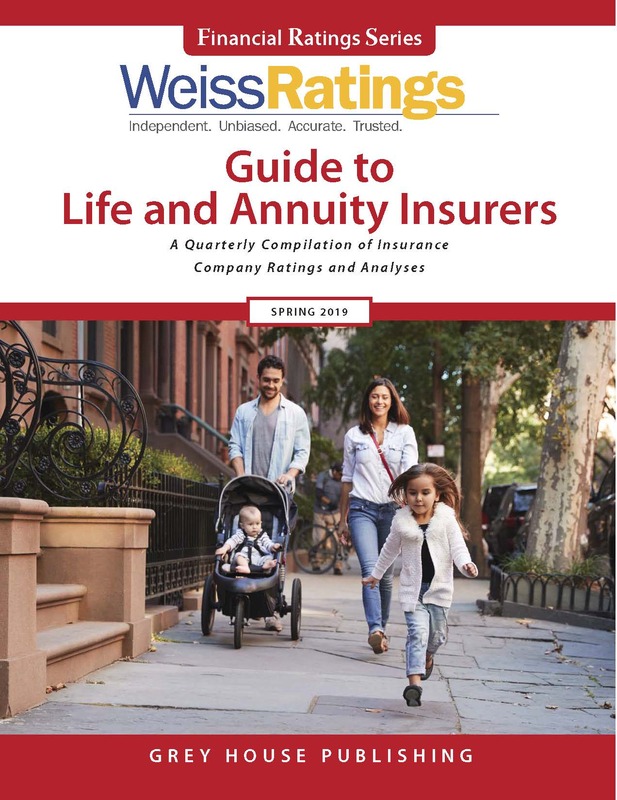 Weiss Ratings’ Guide to Life & Annuity Insurers presents the most comprehensive, accurate, and independent analyses and ratings of U.S. insurance providers in an accessible format, so users at any level can easily navigate through this incomparable resource. 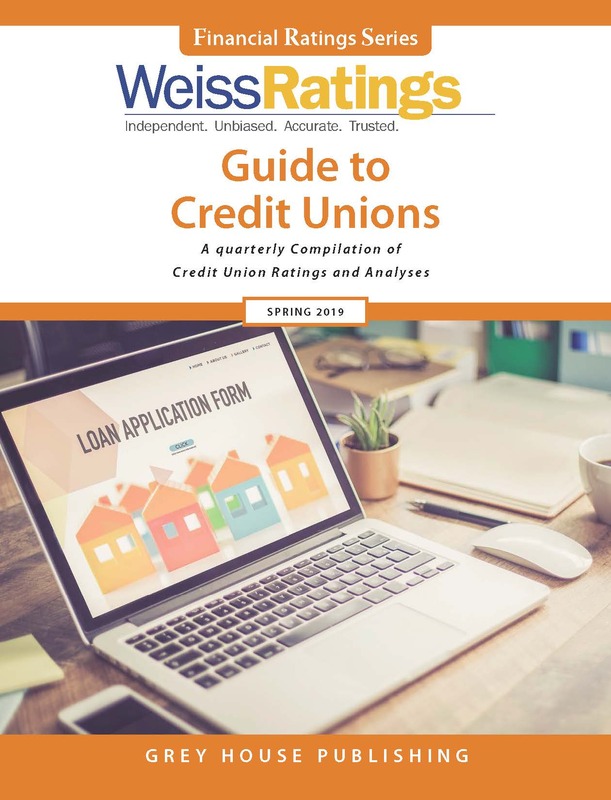 Since the Guide is published quarterly, the information and ratings react quickly to changes in the industry, and users can rest assured that all ratings are up to date. 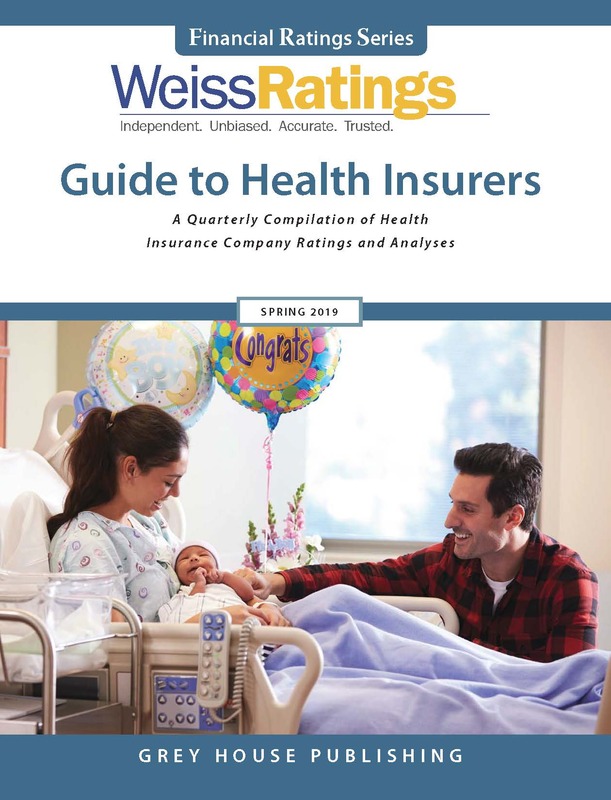 Whether the user is in the healthcare industry, in the insurance industry, or is a consumer looking for information on his or her insurance company or looking to change insurers, this Guide is the best and only source for unbiased and timely analyses.